his earlier years in Hawaii. Tampa Bay Academy of Hope. present this gift from them to the President. 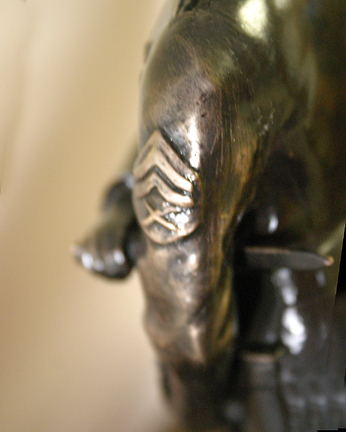 bronzed sculpture and a bronzed dedication insert. See more information about the developmemt of this project. 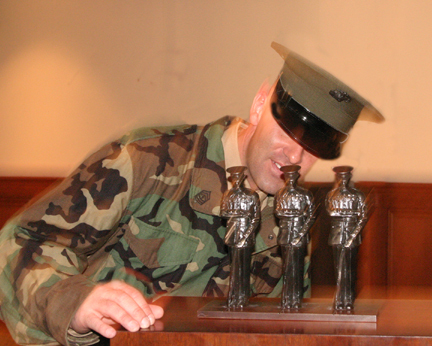 First Sergeant John Ploskonka (later Sergeant Major John Ploskonka) had commissioned Jay Williams to create a creative, prestigious and meaningful trophy for men under his command before he was reassigned for duty overseas. 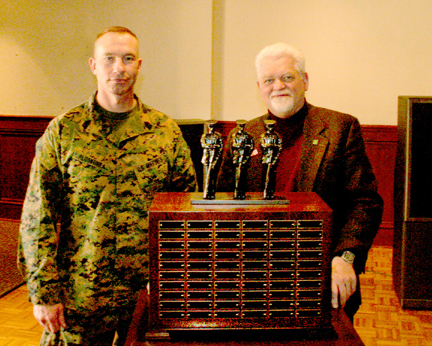 He personally provided all cost for this trophy to honor his men. 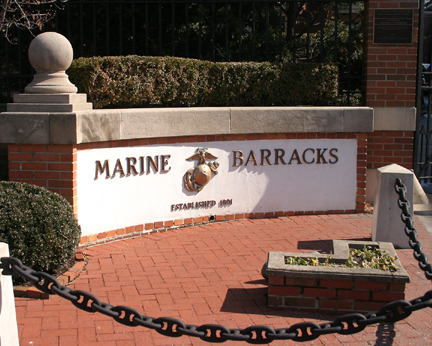 It also is intended to inspire all future Marines of the Ceremonial Guard Company and reward and recognize them for bringing inspiration to the American people at the public presentations on the grounds of the 8th & I Street U.S. Marine Barracks in Washington D.C. and at various events throughout the country and the world. 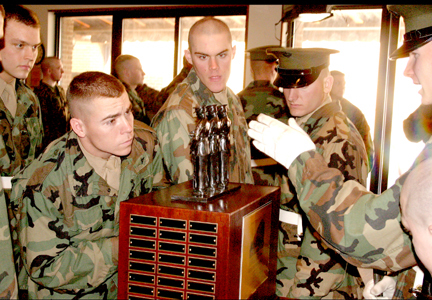 that we designed for the "8th & I Streets"
A close inspection by a U.S. Marine drill instructor. Even closer look of the fine detail work. 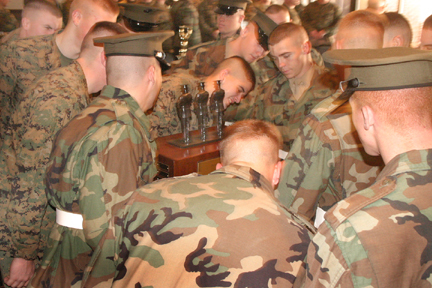 fix bayonets during their precision drill presentations. 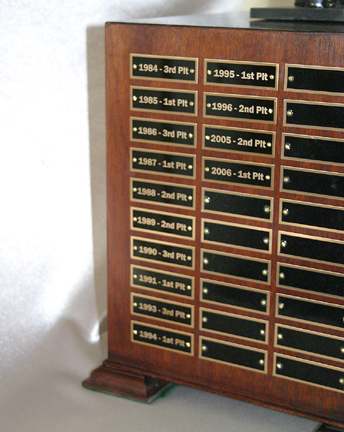 the winning platoons who have competed in the past 14 years. will be judged the best of the best at accurate presentations. 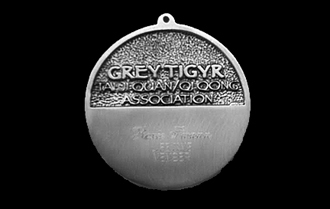 We designed, sculpted and produce a group of these 3" diameter medallions to be presented as awards by a martial arts organization called the Grey Tigyr. 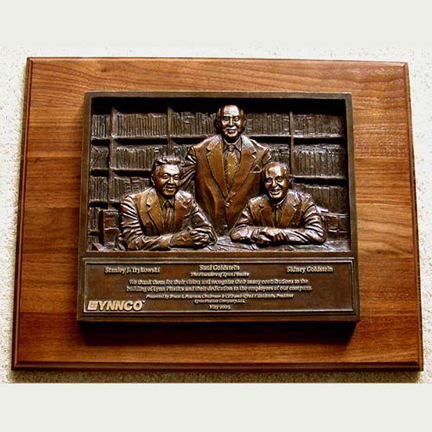 It was sculpted as a bas relief (low relief) sculpture The reverse side has the blank area for engraving the names of the recipients. We designed the front side to reflect the image that we installed on the home page as a Flash unit. see it here. We researched and located a 1926 photo of George "Bird" Grinnell. 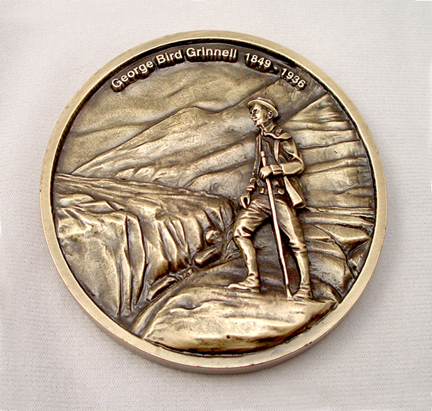 Then we suggested to the Wildlife Management Institute that we use it as a reference to create this bas relief (low relief) sculpture of him standing on his namesake glacier. The most important feature is that our sculptors can create an extremely accurate likeness of people when needed. 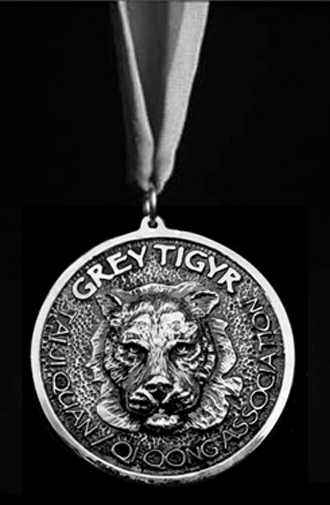 This is now used for one of their major annual Wildlife Management Institute awards. 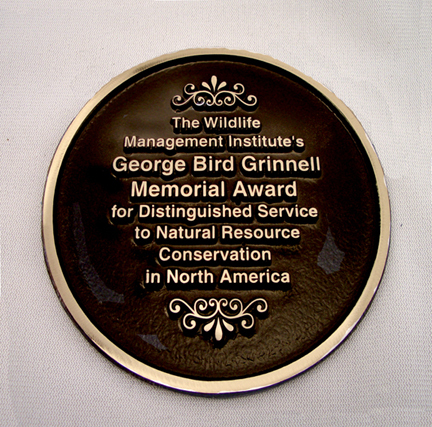 The WMI George "Bird" Grinnell Memorial Award recognizes individuals who have made extraordinary and enduring, but largely unsung contributions to conservation of natural resources in North America. produced by Jay Williams Design Company". 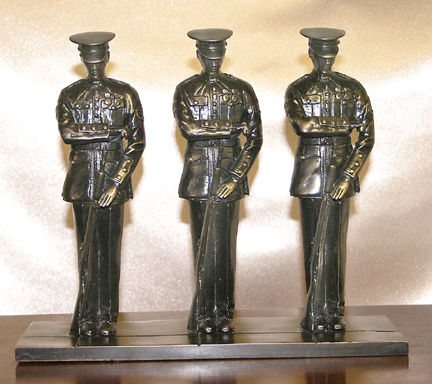 This is bronzed customized award was created to last the test of time starting with the Academy's 12th Annual "Faces of Hope" celebration in 2008. 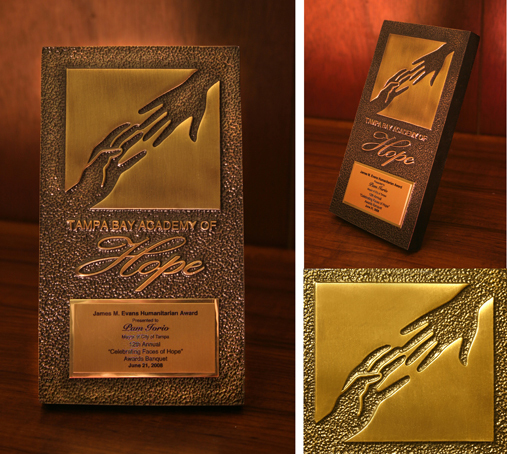 Then again in the Academy's 13th in celebration in 2009 and for all future events honoring those who support the ideals and goals of the Tampa Bay Academy of Hope. 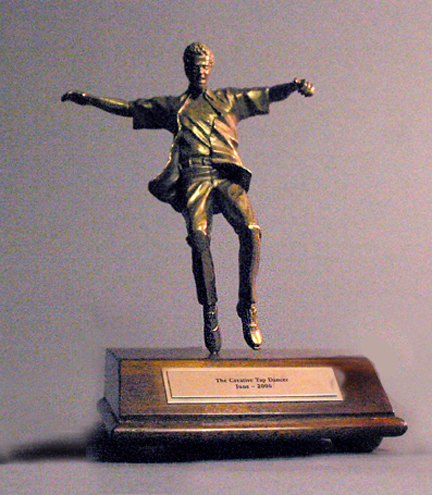 Jay Williams decided several years ago to ask his nephew, Drew Williams, if he would sculpt a figure of his cousin Jeffrey for a major final event that was to take place. It was a surprise gift from Jay to his son, before Jeffrey went to college. Jay sent his deisgn for what he had in mind to Drew. It was for Jeffrey's final tap dancing performance at the Clarice Smith Performing Arts Center at the University of Maryland. Jay presented the surprise gift to his son at the reception. 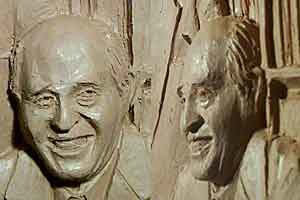 The likeness was so good and the reaction from this large attended event was so great, that it encouraged Jay and Drew to begin offering customized bronze awards to other individuals and organizations. Even though Jay has always enjoyed sculpting, his nephew, Drew, grew up to become a very talented and accomplished sculptor. 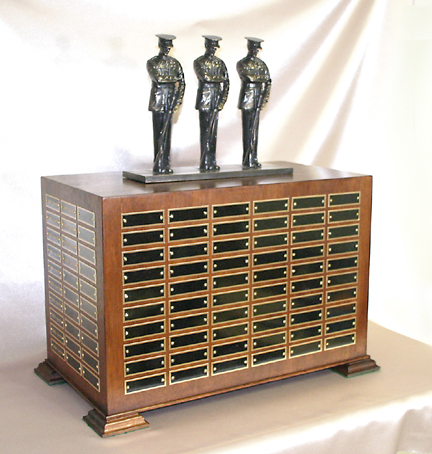 Jay, Drew, other sculptors and fine wood craftsmen now work as a team to offer this special product to businesses and organizations throughout the Untied States and other countries. 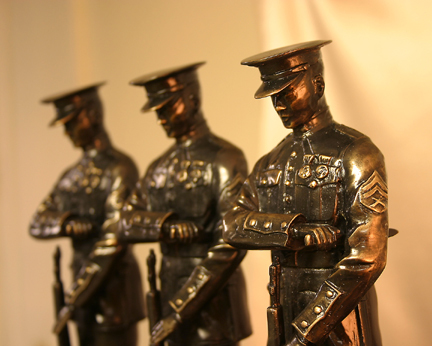 The most sought after are sculptures which have such a distinct and accurate likeness. These are subjects of a particular person or a speical pet or horse with or without its rider. 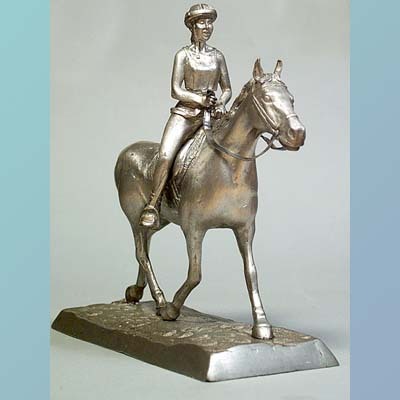 For instance, we can make a precise likeness of the horse and of the owner of the horse as shown here. At times the symbol or logo of a company or organization is creatively worked into the piece. Pricing is based on the needs of each assignment. These works are extremely customized and unique, therefore a very rough cost estimate is given first after the basic idea is discussed. Then, after an indepth interview, a confirmed cost and time frame would be developed. If you are interested in considering this type of item, or if you know of anyone who have a need for such pieces please call and discuss it with Jay Williams at 301-937-8633.
mounted on a crafted wooded base. This type of sculpture is called a bas-relief (low relief) sculpture and is very popular as a wall unit like this or for medallions. See Award Made For AARP Here. 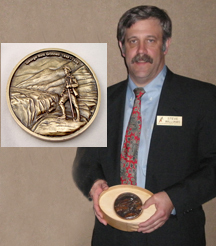 "There is no greater honor that the Wildlife Management Institute can bestow and, with this award, comes the appreciation and respect of the entire professional conservation community". The Memorial for Madelyn Dunham Who Raised Her Grandson Barack Obama. Trophy For The US Marines Ceremonial Guard - Washington D.C.
May 23, 2013, Bowie Maryland - The Prince George's Community Federal Credit Union unveiled the bronze plaque honoring one of its 1967 founding board members, Virginia Stallings. The plaque, designed and produced by Beltsville's Jay Williams Design Company (JWDC) was unveiled in conjunction with the dedication of their new Bowie building to Ms. Stallings. 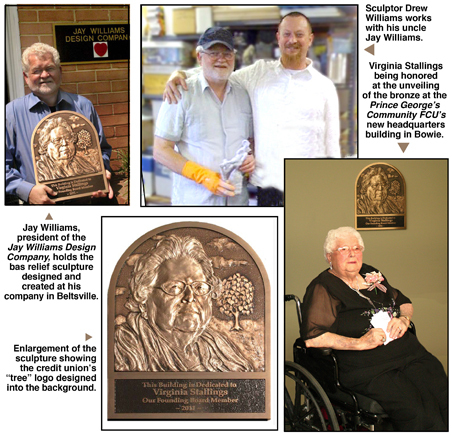 Jay Williams, president of JWDC, and his nephew, Drew Williams, work as a team to design and craft unique and detailed sculptures, medallions, and plaques. 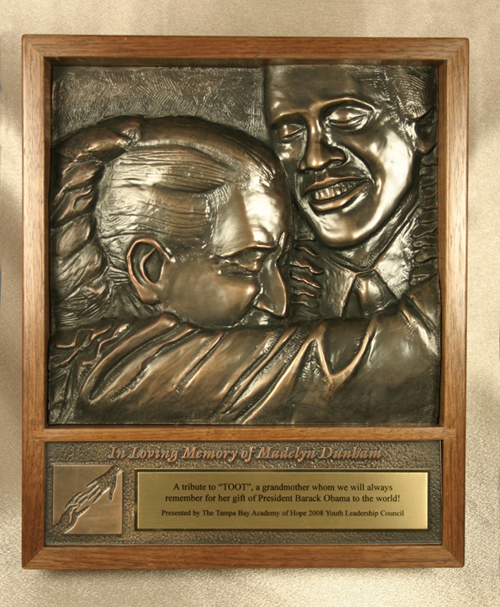 This bronze, can be viewed in the entrance of the Credit Union's new main office. 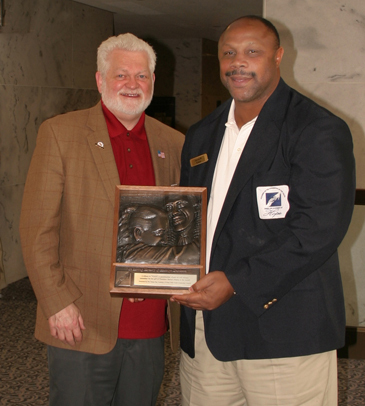 Jay Williams created the initial design from photographs of Ms. Stallings. The 11.5 X 18-inch bas-relief artwork is a wall-mounted sculpture. 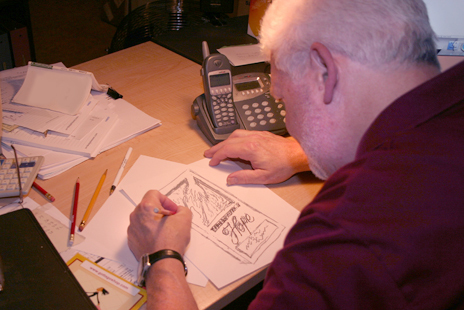 Drew Williams, a life-long, accomplished sculptor, creates a raw clay model for customer approval. He creatively applies exquisite finishing details to the clay for a final mold, in this case, made of sand, called "Sand Casting", which was used for the creation of this final bronze-poured artwork.